After we started our mass traveling back in 2006, and stepping in only my second European country, Vatican City, I of course became intrigued with all the tiny countries in Europe. In 2009, we visited Luxembourg and Liechtenstein, and then last year we visited San Marino. As far as continental Europe, this only left Andorra, which is not the easiest place to get, but we always seem to find a way. I found some tickets to Toulouse in France, which would be our home base, and then rented a car to make the 2.5 hour journey to Andorra. I knew there wouldn’t be a ton t see or do after researching, but in typical fashion, it has to be visited….or it would bother me forever. We make it into Toulouse, which is nice little French town, and was recently in the news for that shooter that took out quite a few people while riding around on his scooter. Well, thankfully that was over and we could relax. We walked around the city center, hit a great bistro for dinner, using every bit of french I could remember just to get by. Hit the sack, got up early, and we were off to Andorra. I had read the drive would be nice as we approached Pyrenees, and it didn’t disappoint. 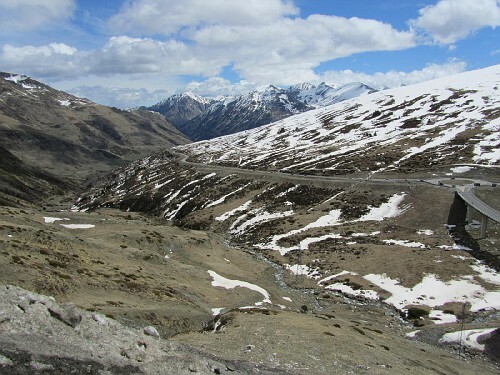 The drive for about an hour is dull, but then once off the main highway, you begin weaving in and out of small mountain villages until you reach Andorra. We finally got there, and there’s a border town there which is pretty much a duty free tax haven for the French. It’s not memorable, it’s not pretty, it’s just there. 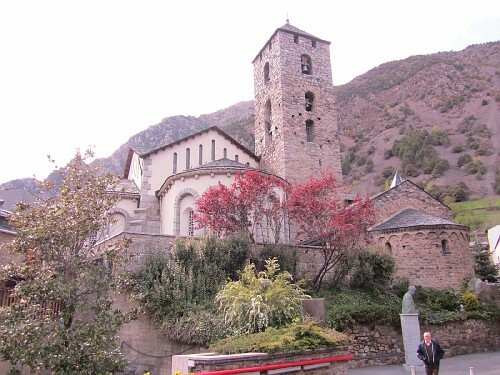 We drove right through and headed to Andorra la Vella, the capital, and pretty much on the other side of the country. It’s small, mountainous, but extremely pretty. It’s also a ghost country once the snow disappears, and you drive through empty village after empty village on your way to the capital. Kind of strange, but we made good time at least. 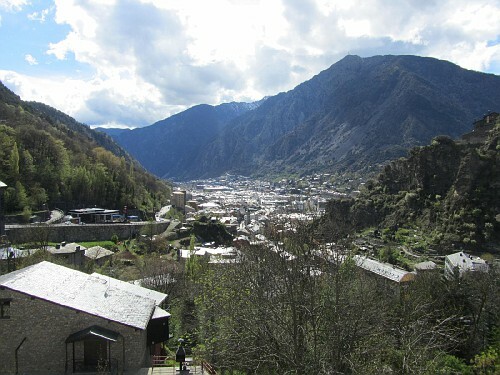 Once arriving in Andorra la Vella, you realize it’s the heart of the country. Simply because there are actual people walking around, they have a few stoplights and stores are open. The capital is more of a tax haven and duty free area for the Spanish, since it’s only about 15 minutes from the border, which we accidentally crossed over when searching for some alpine slides. Anyway, we parked and walked around, only to see the same shops replicated about 20 times within the same mile. All electronics, watches, shoes and clothes, over and over again. Pretty boring if you ask me, nothing unique. Again, Andorra is mostly known for skiing, but also as a tax haven, so there’s plenty of money in the country, but it’s very isolated, unlike Monaco. The homes up in the hills were amazing, but after the views, which are phenomenal, there’s not much else. Sites? Not many, but I’ll show some pictures below of the most well known. 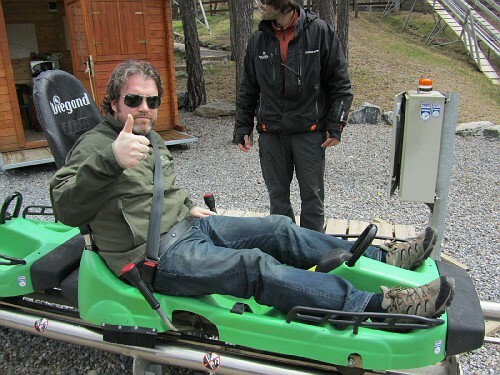 The one thing we had to do while there was hit the alpine slides, in which Andorra has the largest one in Europe. The run is 5km long, and gives you an amazing view of the Pyrenees. It went pretty fast, so again, Annemarie couldn’t join because of our little one growing in her belly. But I’m a big kid, so of course I went. One word: fantastic. I checked that off, and only had one more thing to do while there, was to get the rare passport stamp that you can get at the border once crossing back into France. We headed back, hit the border, and…..nothing. The agents all went home for the day, literally. It was empty, with cars flying through. The border control is more there for duty free goods I guess, and if you catch them when they’re working, you can ask for it, but to no avail. So that’s Andorra. Will we be back? No, no need unless it was for skiing, but there are other places we can do that. Duty free worth a trip? No, same stuff is in every airport in Europe. Glad we went? 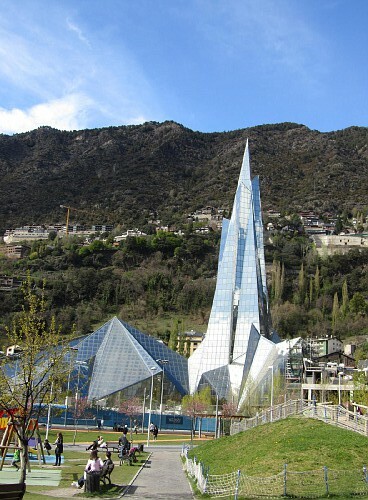 Yes, since we want to see every country in Europe, but would I recommend making the trip to see Andorra la Vella….don’t think so. « The last piece of the Nordics is complete….and it’s Norway!